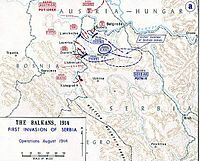 The Serbian Campaign was fought from late July 1914, when Austria-Hungary invaded Serbia at the outset of the First World War, until late 1915, when the Macedonian Front was formed. The front ranged from the Danube to southern Macedonia and back north again, involving forces from almost all combatants of the war. The Serbian Army declined severely towards the end of the war, falling from about 420,000 at its peak to about 100,000 at the moment of liberation. The Kingdom of Serbia lost 1,100,000 inhabitants during the war (both army and civilian losses), which represented over 27% of its overall population. According to the Yugoslav government in 1924: Serbia lost 265,164 soldiers, or 25%, of all mobilized people. By comparison, France lost 16.8%, Germany 15.4%, Russia 11.5%, and Italy 10.3%. On July 23, Austria-Hungary demanded Serbia comply with its March 1909 declaration to the Great Powers to maintain good neighborly relations with Austria-Hungary and issued the July Ultimatum. In its response, Serbia accepted all the points except point #6, which demanded a criminal investigation against those participants in the conspiracy that were present in Serbia, and to allow an Austrian delegation to participate in the investigation. The Austro-Hungarian ambassador rejected the response on the spot and returned to Vienna. The Austro-Hungarians declared war on Serbia on July 28, 1914. World War I had begun. Picture - Austrian troops executing captured Serbians in 1917. For complex reasons, the dispute between Austria-Hungary and Serbia escalated into what is now known as World War I, which involved Russia, Germany, France, and the United Kingdom. Within a week, Austria-Hungary had to face a war with Russia, which had the largest army in the world at the time. The result was that Serbia became just another front to the massive fight that started to unfold along Austria-Hungary's border with Russia. Serbia had an experienced army, having fought two wars in the last two years, but it was also exhausted and poorly equipped, and the Austro-Hungarians thought that it would fall in less than a month. Serbia's strategy was to hold on as long as it could and hope the Russians could defeat the main Austro-Hungarian Army. Serbia constantly had to worry about its hostile neighbor to the east, Bulgaria, with which it had fought several wars, most recently in 1913. The Serbian army at the start of the war was some 180,000 strong, commanded by Marshal (Vojvoda) Radomir Putnik. However he was in poor health in a hospital in Budapest. The Austro-Hungarian government arrested him at the hospital, but then released him after the personal intervention of the Austro-Hungarian Chief of General Staff Franz Graf Conrad von Hx�tzendorf, partly as an act of chivalry, and partly as a calculation that the ailing general would be an easy opponent; the latter proved to be a blunder. Putnik would brilliantly handle the Serbian Army, even though he almost never left his special hospital room in Serbia. The war against Serbia started on July 28 when Austria-Hungary declared war on Serbia and her artillery shelled Belgrade on July 29. On August 12 the Austro-Hungarian armies crossed the border, the Drina River (see map). Initially, three out of six Austro-Hungarian armies were mobilised at the Serbian frontier, but due to Russian intervention, the II Army was redirected to the Galician theatre. But still, the Austro-Hungarians had available two armies (the Fifth and the Sixth) for an attack over the Bosnian border. The V. and VI. Austro-Hungarian armies comprised about 270,000 men which were much better equipped than the Serbians. Overall, Austro-Hungarian command was in the hands of general Potiorek. However, the Austro-Hungarian Empire had the third largest population in Europe in 1914, behind Russia and Germany, and almost twelve times the population of the Kingdom of Serbia. Potiorek rushed the attack against Serbia from northern Bosnia with his Fifth Army, supported by elements of the Second Army from Syrmia. The Second Army was due to be transported to Galicia to face the Russians at the end of August, but he made use of it until then. The Sixth was positioning itself in southern Bosnia and was not yet able to commence offensive operations. Potiorek's desire was to win a victory before Emperor Joseph's birthday and to knock Serbia out as soon as possible. Thus he made two grave strategic errors, attacking with only just over half of his strength, and attacking hilly western Serbia instead of the flat north. 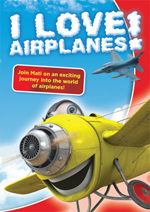 This move surprised Marshal Putnik, who expected attack from the north and initially believed that it was a feint. Once it became clear that it was the main thrust, the strong Second Army under the command of General Stepa Stepanović was sent to join the small Third under Pavle Juri�ić Šturm already facing the Austro-Hungarians and expel the invaders. After a fierce four day battle, the Austro-Hungarians were forced to retreat, marking the first Allied victory of the war. Casualties were around 23,000 for Austro-Hungarians (of whom 4,500 were captured) and 16,500 for the Serbians. Under pressure from its allies, Serbia conducted a limited offensive across the Sava river into the Austro-Hungarian Syrmia with its Serbian First Army. Meanwhile the Timok division I of the Serbian Second Army suffered a heavy defeat in a diversionary crossing, suffering around 6,000 casualties while inflicting only 2000. With most of his forces in Bosnia, Potiorek decided that the best way to stop the Serbian offensive was to launch another invasion into Serbia to force the Serbs to recall their troops to defend their much smaller homeland. September 7 brought a renewed Austro-Hungarian attack from the west, across the river Drina, this time with both the Fifth Army in Mačva, and the Sixth further south. The initial attack by the Fifth Army was repelled by the Serbian Second Army, with 4,000 Austro-Hungarian casualties, but the stronger Sixth Army managed to surprise the Serbian Third Army and gain a foothold. After some units from the Serbian Second Army were sent to bolster the Third, the Austro-Hungarian Fifth Army also managed to establish a bridgehead with a renewed attack. At that time, Marshal Putnik withdrew the First Army from Syrmia (against much popular opposition) and used it to deliver a fierce counterattack against the Sixth Army that initially went well, but finally bogged down in a bloody four-day fight for a peak of the Jagodnja mountain called Mačkov Kamen, in which both sides suffered horrendous losses in successive frontal attacks and counterattacks. Two Serbian divisions lost around 11,000 men, while Austro-Hungarian losses were probably comparable. Marshal Putnik ordered a retreat into the surrounding hills and the front settled in a month and a half of trench warfare, which was highly unfavourable to the Serbs, who were inferior in heavy artillery, ammunition stocks, shell production (having only a single factory producing around 100 shells a day) and also footwear, since the vast majority of infantry wore the traditional (though state-issued) opanaks, while the Austro-Hungarians had soak-proof leather boots. 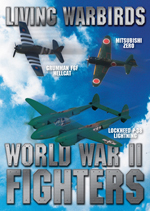 Most of the war material was supplied by the Allies, who were short themselves. 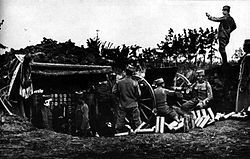 In such a situation, Serbian artillery quickly became almost silent, while the Austro-Hungarians steadily increased their fire. Serbian daily casualties reached 100 soldiers from all causes in some divisions (notably in Combined division). During the first weeks of trench warfare, the Serbian Užice Army (one strengthened division) and the Montenegrin Sanjak Army (roughly a division) conducted an abortive offensive into Bosnia. In addition, both sides conducted a few local attacks, most of which were soundly defeated. 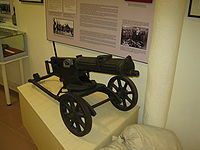 In one such attack, the Serbian Army used mine warfare for the first time: Combined division dug tunnels beneath the Austro-Hungarian trenches (that were only 20-30m away from the Serbian ones on this sector), planted mines and set them off just before an infantry charge. Having thus weakened the Serbian Army, the Austro-Hungarian Army launched another massive attack on November 5. The Serbians withdrew step by step, offering strong resistance at the Kolubara River, but to no avail, due to the lack of artillery ammunition. It was at that time that General Živojin Mi�ić was made commander of the battered First Army, replacing the wounded Petar Bojović. He insisted on a deep withdrawal in order to give the troops some much-needed rest and to shorten the front. Marshal Putnik finally relented, but the consequence was the abandonment of the capital city of Belgrade. The Austro-Hungarian Army entered the city on December 2. This move led Potiorek to move the whole Fifth Army to the Belgrade area and use it to crush the Serbian right flank. This, however, left the Sixth alone for a few days to face the whole Serbian army. At this point, artillery ammunition finally arrived from France and Greece. In addition, some replacements were sent to the units and Marshal Putnik correctly sensed that the Austro-Hungarian forces were dangerously overstretched and weakened in the previous offensives, so he ordered a full scale counterattack with the entire Serbian Army on December 3 against the Sixth army. 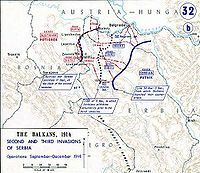 The Fifth hurried its flanking maneuver, but it was already too late - with the Sixth Army broken, the Second and Third Serbian armies overwhelmed the Fifth. Finally, Potiorek lost his nerve and ordered yet another retreat back across the rivers into Austria-Hungary's territory. (See second map.) The Serbian Army recaptured Belgrade on December 15. The first phase of the war against Serbia had ended with no change in the border, but the casualties were incredible compared to earlier wars, though sadly, not out of keeping with other campaigns of this war. The Serbian army lost around 170,000 men killed, wounded captured or missing. Austro-Hungarian losses were approaching 215,000. Austro-Hungarian General Potiorek was removed from command and replaced by Archduke Eugen of Austria (C. Falls p. 54). On the Serbian side, a deadly typhus epidemic killed hundreds of thousands of Serbian civilians during the winter. Early in 1915, with the Ottoman defeats at the Battle of Sarikamis and in the First Suez Offensive, German Chief of the General Staff Erich von Falkenhayn tried to convince the Austro-Hungarian Chief of Staff, Conrad von Hx�tzendorf, of the importance of conquering Serbia. If Serbia were taken, then the Germans would have a rail link from Germany, through Austria-Hungary and down to Constantinople (and beyond). This would allow the Germans to send military supplies and even troops to help the Ottoman Empire. While this was hardly in Austria-Hungary's interests, the Austro-Hungarians did want to defeat Serbia. However, Russia was the more dangerous enemy, and furthermore, with the entry of Italy into the war on the Allied side, the Austro-Hungarians had their hands full (see the Italian Campaign (World War I)). Both the Allies and the Central Powers tried to get Bulgaria to pick a side in the Great War. Bulgaria and Serbia had fought two wars in the last 30 years: the Serbo-Bulgarian War in 1885, and the Second Balkan War in 1913. The result was that the Bulgarian government and people felt that Serbia was in possession of lands to which Bulgaria was entitled, and when the Central Powers offered to give them what they claimed, the Bulgarians entered the war on their side. With the Allied loss in the Battle of Gallipoli and the Russian defeat at Gorlice, King Ferdinand signed a treaty with Germany and on September 23, 1915, began mobilizing for war. During the preceding nine months, the Serbians had tried, and failed, to rebuild their battered armies and improve their supply situation. Despite their efforts, the Serbian army was only about 30,000 men stronger than at the start of the war (around 225,000) and was still not well-equipped. Although Britain and France had talked about sending serious military forces to Serbia, nothing was done until it was too late. When Bulgaria began mobilizing, the French and British sent two divisions, but they arrived late in the Greek town of Salonika. Part of the reason for the delay was the Greek government's conflicted views about the war. Against Serbia were marshalled the Bulgarian First Army, the German Eleventh Army and the Austro-Hungarian Third Army, all under the command of Field Marshal Mackensen. In addition the Bulgarian Second Army, which remained under the direct control of the Bulgarian high command, was deployed against Macedonia. The Austro-Hungarians and Germans began their attack on October 7 with a massive artillery barrage, followed by attacks across the rivers. Then, on the 14th, the Bulgarian Army attacked from two directions, from the north of Bulgaria towards Ni� and from the south towards Skopje (see map). The First Army defeated the Serbian Second Army at the Battle of Morava, while the Bulgarian Second broke through the less trained and equipped Troops of New Areas and cut the vital railroad to Salonika (Battle of Ovche Pole). With the Bulgarian breakthrough, the Serbian position was hopeless; the main army in the north could try to retreat, or be surrounded and forced to surrender. In the Battle of Kosovo the Serbs made a last and desperate attempt to join the two incomplete Allied divisions that made a limited advance from the south, but were unable to gather enough forces, due to the pressure from north and east and were stopped by the Bulgarians under General Georgi Todorov and had to pull back. Marshal Putnik ordered a full retreat, south and west through Montenegro and into Albania. The weather was terrible, the roads poor, and the army had to help the tens of thousands of civilians who retreated with them with almost no supplies or food left. 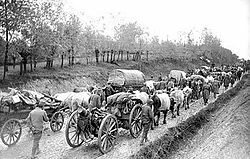 But the bad weather and poor roads worked for the refugees as well, as the Central Powers forces could not press them hard enough, and so they evaded capture. Many of the fleeing soldiers and civilians did not make it to the coast, though - they were lost to hunger, disease, attacks by enemy forces and Albanian tribal bands. The circumstances of the retreat were disastrous, and all told, some 155,000 Serbs, mostly soldiers, reached the coast of the Adriatic Sea, and embarked on Allied transport ships that carried the army to various Greek islands (many to Corfu) before being sent to Salonika. The survivors were so weakened that thousands of them died from sheer exhaustion in the weeks after their rescue. 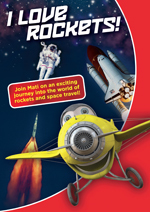 Marshal Putnik had to be carried during the whole retreat and he died a bit more than a year later in a hospital in France. The French and British divisions marched north from Salonika in late November under the command of French General Maurice Sarrail. However, the British divisions were ordered by the War Office in London not to cross the Greek frontier. So the French divisions advanced on their own up the Vardar River. This advance was of some limited help to the retreating Serbian Army as the Bulgarian Army had to concentrate some forces on their southern flank to deal with the threat. By mid-November, General Sarrail concluded retreat was necessary in the face of determined Bulgarian assaults on his positions. This was a nearly complete victory for the Central Powers at a cost of around 67,000 casualties as compared to around 90,000 Serbs killed or wounded and 174,000 captured. The railroad from Berlin to Constantinople was finally opened. The only flaw in the victory was the remarkable retreat of the Serbian Army, which was however almost completely disorganized and had to be rebuilt almost from scratch. 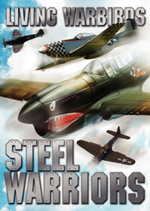 However, they took part in the fighting throughout the rest of the war on various fronts and performed well. For subsequent events, see Macedonian front (World War I). Once Bulgaria attacked in coordination with Austria-Hungary, the smaller Serbian Army could not withstand the attack alone, so the order was given for the temporary withdrawal to Greek islands. Greece was not a major power, nor friendly to the Allies, and the northern border of Greece offered superior defensive positions for the Bulgarians to defend. The ramifications of the war were manifold. When World War I ended, the Treaty of Neuilly gave Greece Western Thrace, and Serbia some minor territorial concessions from Bulgaria. Austria-Hungary was broken apart and Hungary lost much land to both Yugoslavia and Romania in the Treaty of Trianon. Serbia assumed the lead position in the new state of Yugoslavia, joined by its old ally, Montenegro. Meanwhile, Italy established a quasi-protectorate over Albania and Greece reoccupied the country's southern part, which was autonomous under a local Greek provisional Government (see Autonomous Republic of Northern Epirus). Incited by anti-Serb propaganda and criminal orders by the command the Austro-Hungarian army committed atrocities against the Serbian people on the territory of Serbia and Austria-Hungary. According to the German criminologist and observer R.A.Reiss it was a "system of extermination". Serbian prisoners of war and civilians were massacred by the Austro-Hungarian army. Serbian women and girls were raped. Villages and towns were pillaged and burned down. Fruit trees have been cut down. The invading Bulgarian army also committed massacres. Before the war, the Kingdom of Serbia had 4.5 million inhabitants. According to the New York Times, in 1915 alone 150,000 people are estimated to have died during the worst typhus epidemic in world history. With the aid of the American Red Cross and 44 foreign governments, the outbreak was brought under control by the end of the year. The number of civilian deaths is estimated by some sources at 650,000, primarily due to the typhus outbreak and famine, but also direct clashes with the occupiers. 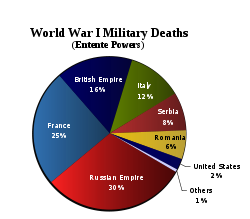 Serbia's casualties accounted for 8% of the total Entente military deaths. 58% of the regular Serbian Army (420,000 strong) perished during the conflict. The total number of casualties is placed around 1,000,000: 25% of Serbia's prewar size, and an absolute majority (57%) of its overall male population. L.A. Times and N.Y. Times also cited over 1,000,000 victims in their respective articles. The extent of the Serbian demographic disaster can be illustrated by the statement of the Bulgarian Prime Minister Vasil Radoslavov: "Serbia ceased to exist" (New York Times, summer 1917). In July 1918 the US Secretary of State Robert Lansing urged the Americans of all religions to pray for Serbia in their respective churches. Serbia suffered enormous casualties. The Serbian Army had been decimated towards the end of the war, falling from about 420,000  at its peak to about 100,000 at the moment of liberation. The Kingdom of Serbia lost 1,100,000 inhabitants during the war (both army and civilian losses: of 4.5 million people, 275,000 were military deaths, while 450,000 were civilian - mostly due to food shortages, epidemics and the Spanish flu-and there were 133,148 wounded), which represented over 15% of its overall population-a demographic disaster that is still obvious today. According to the Yugoslav government in 1924, Serbia lost 365,164 soldiers, or 26%, of all mobilized personnel, while France suffered 16.8%, Germany 15.4%, Russia 11.5%, and Italy 10.3%.